Mathematics has long been a divisive subject in classrooms. Students either love the subject, or despise it to their very core. For this reason, mathematics teachers face a unique problem not often encountered in any other subject. It becomes their responsibility to not only teach their subject properly, but to do so in a manner that is engaging for their more mathematically-averse students. Performing your job well ultimately requires an extensive period of complex training, through which you have likely come to understand quite a few concepts. Now that you’re nearing the end of your certification training, you’ll soon be facing one final task: earning a passing score on the ILTS Mathematics exam. Like other exams of its kind, the purpose of the ILTS (Illinois Licensure Testing System) is to make sure you’ve mastered all the necessary concepts to teach in your chosen field. The ILTS Mathematics test is timed, much like every other ILTS subject test, with a specific time limit of three hours and 45 minutes. The Mometrix Test Preparation team understands just how important this exam is to your career goals. We want to help you prepare as thoroughly as you possibly can. On this page, you’ll gain access to our ILTS Mathematics practice test, designed to help you learn what to expect from the actual ILTS exam. We have used careful observation to ensure this practice test is as accurate as possible to the real thing. 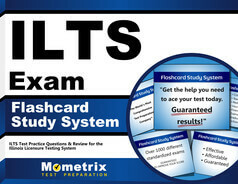 We hope our practice test will fit well into your study plan. 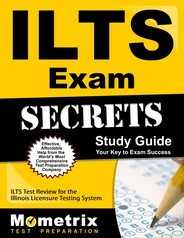 While it is quite effective when used standalone, it pairs best with our companion ILTS Mathematics study guide. Regardless of how you use it, we hope our practice test will fit well into your study plan. Good luck!